Today’s film is like the Airplane of horror films – a long-forgotten gem from the UK boasting Vincent Price as the leader of a satanic cult terrorizing a group of scientists investigating strange goings-on at Headstone Manor. 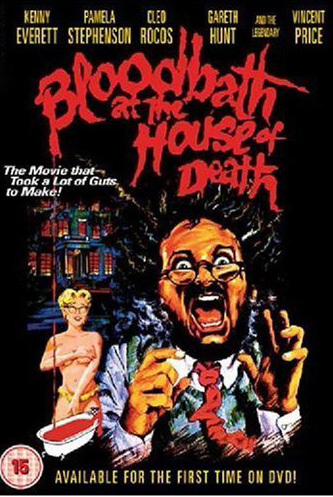 This entry was posted in and tagged bloodbath at the house of death, Horror, podcast, vincent price. Bookmark the permalink.